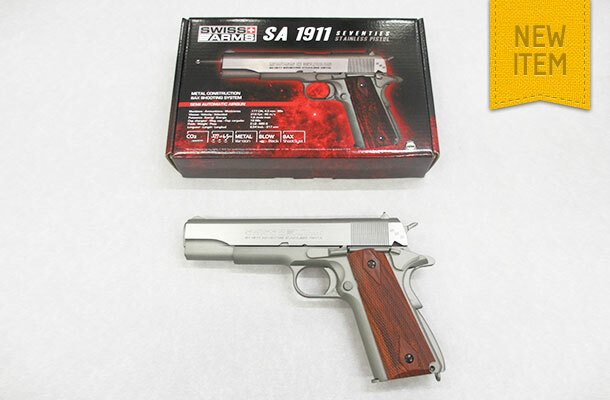 Arrived fresh this week we have the Brand New Swiss Arms SA 1911 full metal, stainless steel pistol with faux wooden grips. This Co2 powered, 18 shot 4.5mm BB gun features the gas blow back system and is the first in the new Stainless Steel finish pistols from Swiss Arms. Also available is the 92 FS in Stainless Steel finish.